Your heart longs to please the Lord in everything you do, including how you eat. But, you struggle to put your faith into your food choices. It’s not that you don’t want to, it’s that you don’t know how. These Bible verses about self-control will help you find victory through Christ in how you eat, to the glory of God. The bag crackles as your fingers scrape across the empty bottom- they’re GONE. Not quite believing that you ate the entire bag, you take a peek only to see a few dusty crumbs lingering on. Frustrated with your lack of self-control, it seems as though you may as well give up. 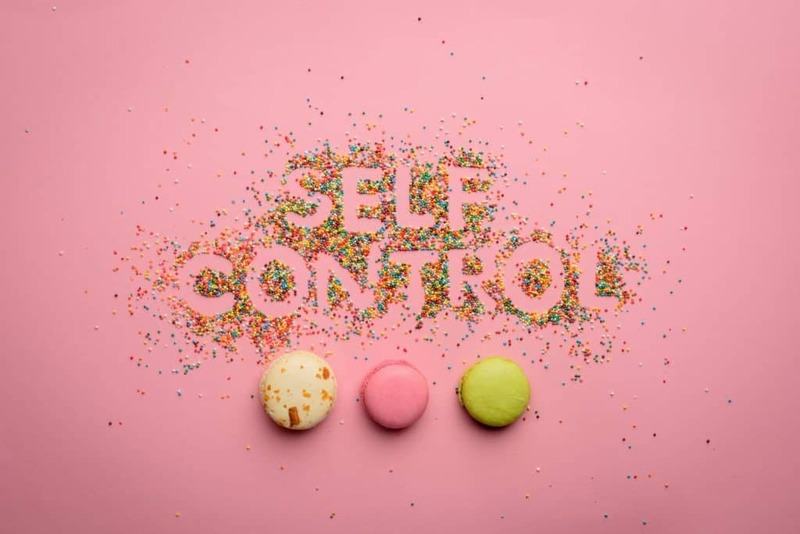 As a Christian, you know how important self-control is to your walk with the Lord, and yet, it often alludes you (especially when it comes to eating). You want to make a change, but your failed attempts have left you feeling hopeless and you don’t know what to do, what to try, next. My sister, I have great news for you. The Word of God contains everything you need to know about life and godliness, including self-control. BUT, just reading scriptures about self-control won’t change your heart. We need to digest them AND apply them through the power of God. Here you will find 10 Bible verses about self-control with helpful tips on how to apply these scriptures to how you eat. Don’t give up, dive IN! 1. Titus 2:11-12 (ESV) For the grace of God has appeared, bringing salvation for all people, training us to renounce ungodliness and worldly passions, and to live self-controlled, upright, and godly lives in the present age. Why do we even want to walk in self-control? After all, it’s not easy to be disciplined! This verse in Titus reminds us that it is the GRACE of God that motivates us to change. If you are here, feeling like you “have to” develop more self-control, I am going to ask you to look at it another way. Don’t try to force disciplined behavior; rather seek the grace of God and allow Him to change your heart. 2. Proverbs 25:28 (NLT) A person without self-control is like a city with broken-down walls. Living a life without self-control is no life at all. Being able to discipline ourselves brings life, peace, and prosperity. Without self-control, we will end up in ruins. Meditating on Bible verses about self-control can help convict us so that we can confess our struggles, agree with God, and find the power to overcome! 3. Proverbs 23:20-21 (NLT) Do not carouse with drunkards or feast with gluttons, for they are on their way to poverty, and too much sleep clothes them in rags. Self-control is about so much more than food. Although, I have found in my life that food seems to be the last frontier. While I have exercised discipline in many areas of my life, my eating is one area I must be on guard against. This Bible verse about self-control reminds me that it’s ok to struggle, but I don’t want to live in the slums. 4. Proverbs 25:16 (NLT) Do you like honey? Don’t eat too much, or it will make you sick! God has given us the stamp of approval on sweets with one caveat– do not eat too much. He has declared all food “good” (1 Timothy 4:4) but warns us not to eat too much. 5. 1 Corinthians 10: 13 (ESV) No temptation has overtaken you that is not common to man. God is faithful, and he will not let you be tempted beyond your ability, but with the temptation, he will also provide the way of escape, that you may be able to endure it. Do you ever feel like you are in short supply of self-control? No matter how deficient you feel, the Word of God tells us that you have enough! When you feel like you just can’t stand up against the temptation any longer, keep your eyes open for a way of escape– He has promised it is there (although you will still need to exercise endurance in accepting that escape)! 6. 1 Peter 5:8 (ESV) Be sober-minded; be watchful. Your adversary the devil prowls around like a roaring lion, seeking someone to devour. Being of a sober mind, walking in self-control, allows us to stay mindful of the schemes of the enemy around us. We have a real adversary who is betting on you to fail. See your food temptations for what they are– a ploy by Satan to make you ineffective for Christ. 7. 1 Corinthians 9:25 (ESV) Every athlete exercises self-control in all things. They do it to receive a perishable wreath, but we an imperishable one. The thought of exercising self-control in ALL things can be overwhelming. However, if enough is at stake, we all would step up our game without a second thought. An athlete has an end result in mind. Their focus on winning the prize and the joy it brings far outweighs any temptation in their lives for compromise. We need to SEE the end result of walking in self-control with food. How amazing will it feel to know that you have been obedient? 8. 2 Timothy 1:7 (ESV) for God gave us a spirit not of fear but of power and love and self-control. Fear is pervasive in our lives, whether we are aware or not. Fear tells us that we won’t succeed, that imperfection means unlovable, and that we just won’t make it without comfort food. But, the Word of God tells us that His power, His love, and His self-control are the antidote to the fears that hold us back. When you feel stuck, notice where the fear lives and saturate those lies with the love of God. The fear cannot stand. 9. Galatians 5:22-24 (ESV) But the fruit of the Spirit is love, joy, peace, patience, kindness, goodness, faithfulness, gentleness, self-control; against such things, there is no law. And those who belong to Christ Jesus have crucified the flesh with its passions and desires. The fruit of the Spirit. Notice this is a singular fruit. If you are struggling with self-control with food, try on love, joy, peace, patience, kindness, goodness, faithfulness, or gentleness instead. 10. 1 Corinthians 9:27 (ESV) But I discipline my body and keep it under control, lest after preaching to others I myself should be disqualified. There is more at stake than your diet here. God has big plans for you, plans that would rock your world. But, you’ll have to discipline your body to get there. Our bodies are our vehicles through life that allow us to (or keep us from) doing God’s will. Looking for little ways to discipline your food choices will help you strengthen those self-control muscles so that you won’t be disqualified for service! Download the Bible Verses About Self-Control devotional cards and print them out (ideally on cardstock). 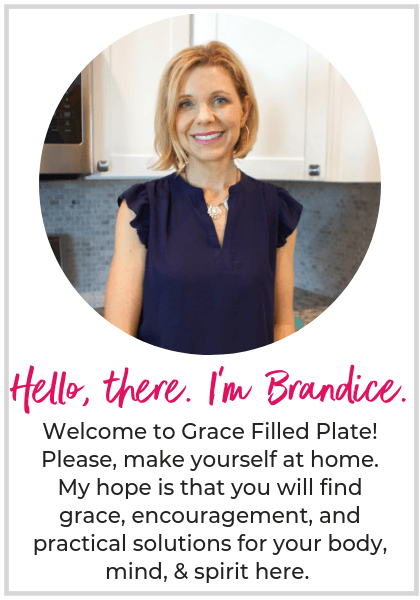 Cut out the cards and place them around your home. Toss one in your wallet, tape one to the bathroom mirror, and definitely attach one to your fridge and/or kitchen cabinets. When temptation hits, grab a card and flee the scene! Remove yourself from the temptation and pray that God will strengthen you. Then crowd out those food thoughts with the verse. I struggled with this FOR YEARS, to the point I believe I was idolizing my food problems. It was on my mind all the time. I would wake and and pray ‘today Lord, this will be a good day’ only to fail by mid afternoon. Part of it had to do with realizing how much God really does love me, and for me this wasn’t easy. After a year or two of God me seeking Him and Him showing me many things, I woke up one morning and asked God while praying, ‘why do I do this? I’m so tired of it’. I felt this in my Spirit: Satan comes to kill, steal and destroy, I come to give you life more abundantly. (Goes right along with 1 Peter 5) Will you let him do this to you? WILL (as in my free will) I (a choice I make) LET (let Satan have free reign over my thoughts and actions) HIM (Satan) KILL me? Will I let him STEAL (my joy?) Will I let him DESTROY (my health?) From then on, I had my answer. NO WAY. It seems so simple….but God is dealing with his sheep after all. It doesn’t have to be hard. So glad you liked it, Jenny! This was very helpful and inspirational! Thank you for sharing. I like that Proverbs one, thank you! On number four, I believe you meant verse 16, not 17. I highlight these in my Bible because this has been a great help to me. Thank you for putting it on Pinterest. Thanks for letting me know, Tabby! Typos are my superpower 🙂 I’m so glad you found it helpful!